The study of this work began two years ago on the request of the Louvre within the context of the research undertaken in relation to the exhibition 'L’ultime chef-d’œuvre de Léonard de Vinci, la Sainte Anne'. 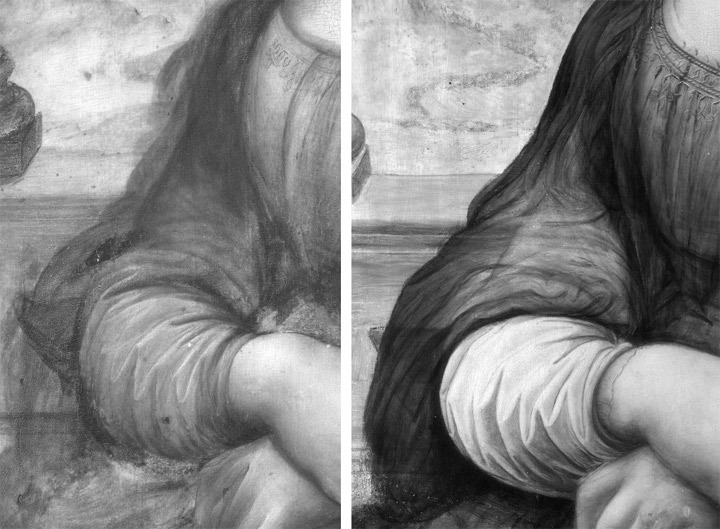 The extremely interesting results obtained from the comparison of the infra-red reflectograph of the Prado’s panel with the one of the original painting led to the decision to undertake a more detailed study of the Prado’s painting and subsequently to restore it. The technical study undertaken was the habitual one carried out at the Museum and included infra-red reflectographs, x-ray, ultra-violent induced visible fluorescence and examination under a binocular magnifier. The aim of this study was to learn how the work was painted and to determine its state of preservation. After the above-mentioned documents (x-ray, infra-red etc) were analysed, laboratory tests were requested in order to resolve any doubts about the nature of the materials of which the work was made as well as the varnishes and the nature of any repainting. 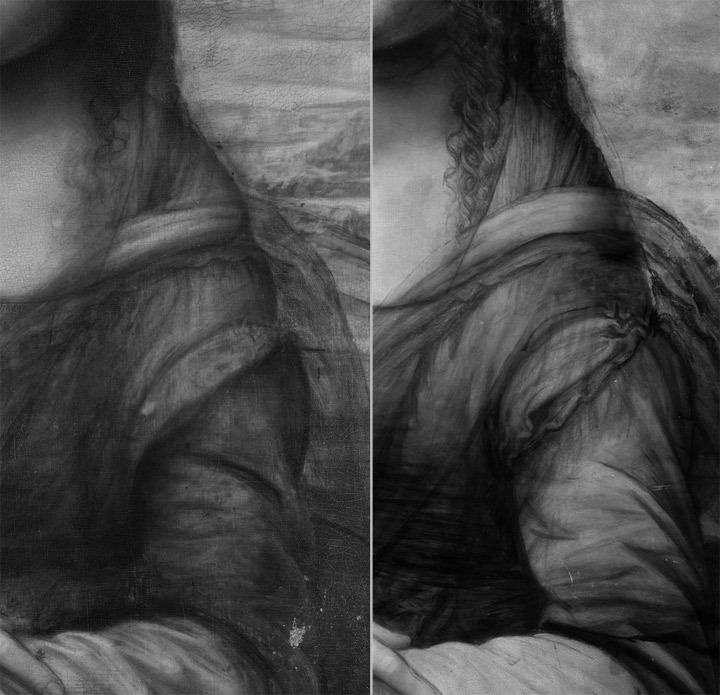 Technical analysis and the recent restoration have resulted in the recovery of the original appearance of the work, which is extremely valuable for the way in which it casts light on workshop procedures in Leonardo’s studio. 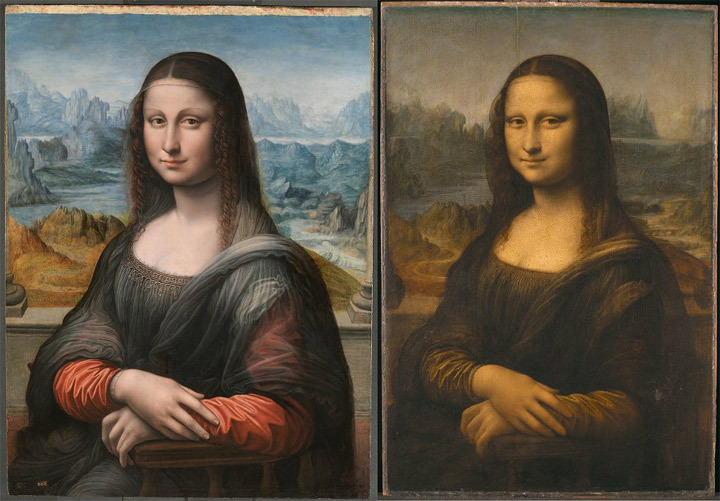 It is the most important version of La Gioconda known to date. The comparison of the two works and the technical documentation relating to them has also contributed to an understanding of the Louvre painting and to completing the sequence of the known phases of its execution, given that the precision of the images produced during the examination of the Prado’s copy revealed features in the x-rays and infra-reds of the original that had previously passed unnoticed. In addition, data resulting from the comparative examination of the two works confirms what was already known about the way Leonardo’s studio functioned, which has been described by Martin Kemp in his research on the existing versions of the Madonna of the Yardwinder and which are also recorded in a letter from Fra Pietro de Novellara to Isabella d’Este after the former had visited Leonardo’s studio. In his letter Novellara mentions having seen two apprentices making copies as the master was extremely occupied. The existence of the landscape beneath the black background was detected with infra-red reflectography and from an examination of the surface under raking light before restoration started. It was subsequently confirmed with x-ray. Despite this evidence it was necessary to determine whether the addition of the black substance was subsequent to the execution of the painting, and in that case whether it concealed any damage on it. 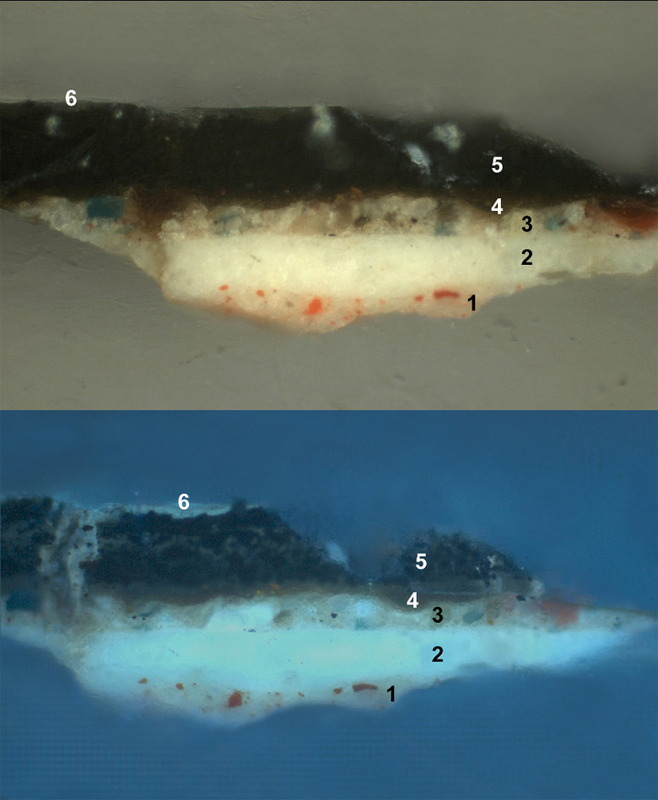 Chemical tests undertaken on this layer revealed that it consisted of repainting and that the binder was linseed oil, meaning that it had been added no earlier than 1750 (see fig.1). The landscape underneath was well preserved but was not entirely finished, which may have been one of the reasons why it was covered over. In addition, an organic layer that was probably a varnish was also detected between the landscape and the overpainting, which functioned to separate the two. This information, together with solubility tests, supported the decision to remove the layer of black overpainting that had nothing to do with the original conception of the portrait (see fig.2). 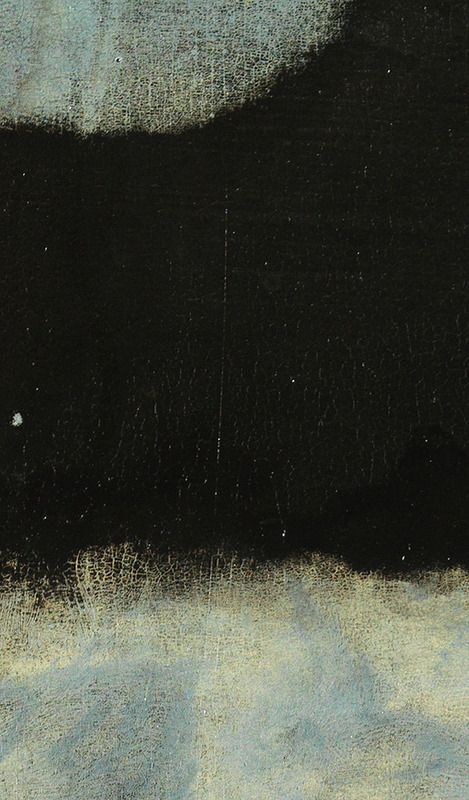 The recovered landscape conforms to the colour range and forms of Leonardo’s evanescent landscapes despite obvious differences in the pictorial quality. A surprising element, for example, located to the right of the figure, is the area of mountains taken from the autograph drawing by Leonardo of A rocky outcrop (ca.1510-15) in the Royal Collection, Windsor. The materials used in the Prado panel are of high quality and the work is carefully painted. It is executed on a walnut panel, which was a support habitually used in works by Leonardo and his Milanese circle. It is to be found in Lady with the Ermine, La Belle Ferronière, andSaint John the Baptist. The panel does not have the traditional gesso underlayer. Instead it has a double preparation (an internal orangeish layer and an external whiteish one) principally made up of lead white. The results published in the last issue of the National Gallery Technical Bulletin (no. 32) on tests carried out on other works by Leonardo, such as Lady with the Ermine, La Belle Ferronière and The Archinto Portrait of Marco d’Oggiono reveal that although unusual, this type of preparation was used in Leonardo’s bottega when the support was a walnut panel. 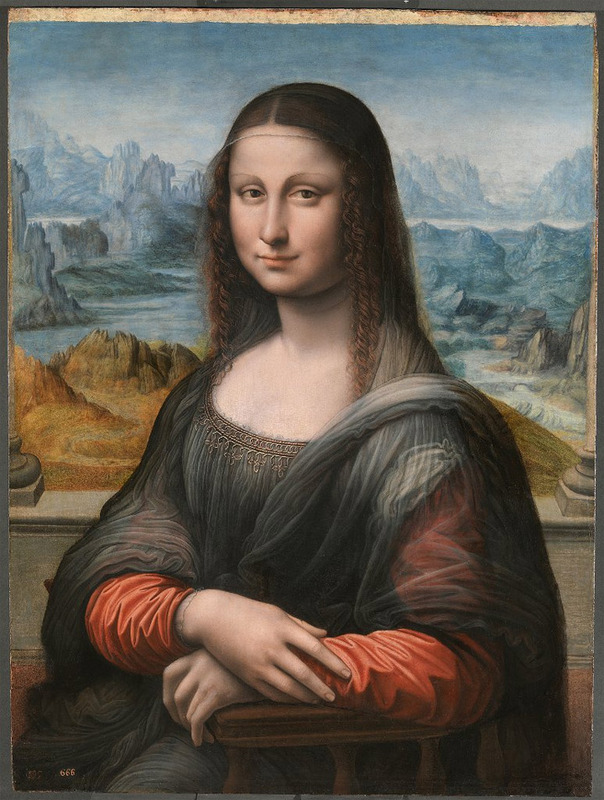 The enormous interest of the Prado’s copy lies in the fact that from the preparatory drawing to almost the final paint layers it repeats the creative process of La Gioconda without aiming to be an imitation of it. 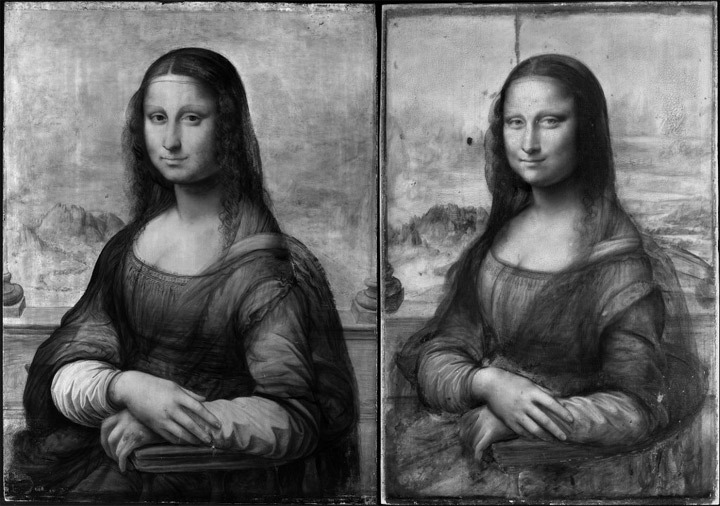 Comparative analysis of the infra-red reflectographs1 has revealed identical details beneath the paint layers that reveal a parallel process of elaboration. In the document here it can be seen that the figures are of the same size and shape and have possibly been transferred onto their respective supports using the same cartoon. The preparatory drawing on the original is not as precise as that on the copy although it also has the lines that indicate how the figure’s position was shifted and the intermediary phases of execution that are also found on the copy. The brushstrokes that define the forms in the original also appear beneath the paint surface of the Prado figure, all slightly displaced. They are to be found on the figure’s back, waist, shoulder and hands, on the line of the breast, on the folds of the sleeves and on her lap. Some of the lines of the initial outline of the figure on the Prado version are corrected in free hand and it is possible to see subtle, drawn lines made in black chalk and brush that have no relationship with the painted forms. As such, they reflect the painter’s experiments and hesitations and suggest a much more complex creative process than that of a normal copy. The transformation of the outline of the waist, which, as in the original, is covered by drapery on the surface; the position of the fingers, the outline of the veil and of the head, even lesser modifications to the outlines of the cheeks and neck. 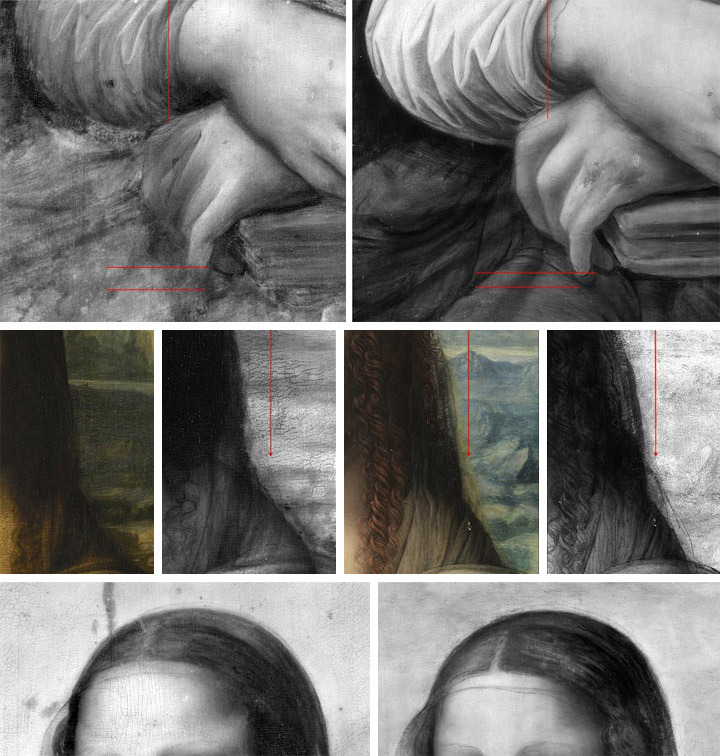 A “traditional” copyist transcribes what is seen on the surface but not what is hidden, and the existence of these shared modifications beneath the paint surface reveals that the artist who painted the Prado panel saw the entire process of the conception and execution of the Mona Lisa. 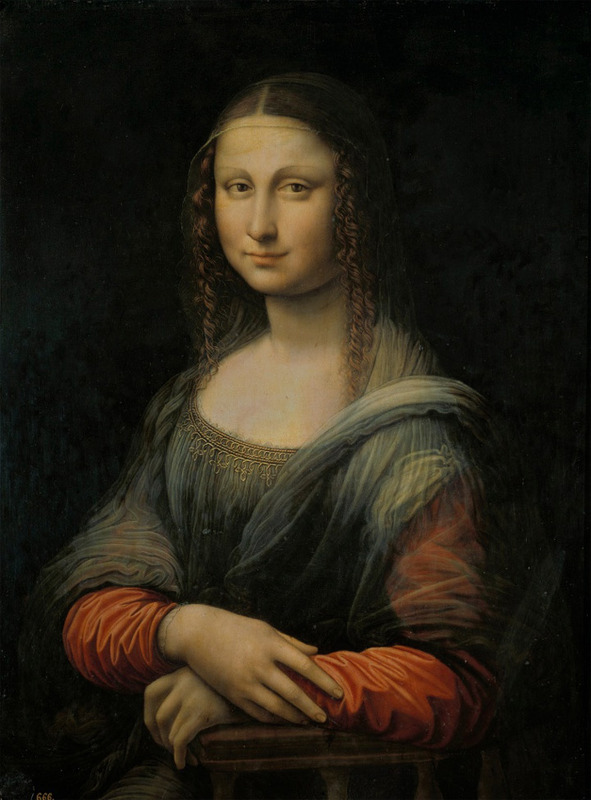 In addition, he drew elements that Leonardo drew on the under-layers but did not include on the surface, including the right arm of the chair and some internal parts of the dress. Shot with Osiris camera by opus instrument. 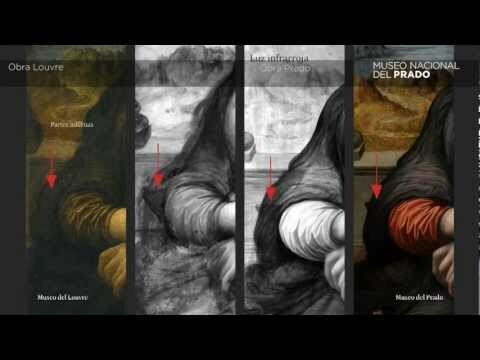 All this information undoubtedly indicates that a member of Leonardo’s studio produced the Prado panel and that the copy and original were produced at the same time and in parallel. With regard to who the artist might be, the pictorial handling is not comparable to the style of pupils or collaborators such as Boltraffio, Marco d’Oggiono or Ambrogio di Predis, who have a defined artistic personality. However, it is possible to locate this work stylistically in a Milanese context, close to Salaï or perhaps to Francesco Melzi, Leonardo’s most trusted pupils, heirs of his work and the painters who had direct access to his landscape drawings. The high quality of the materials used for the Madrid panel suggest that it was an important commission. 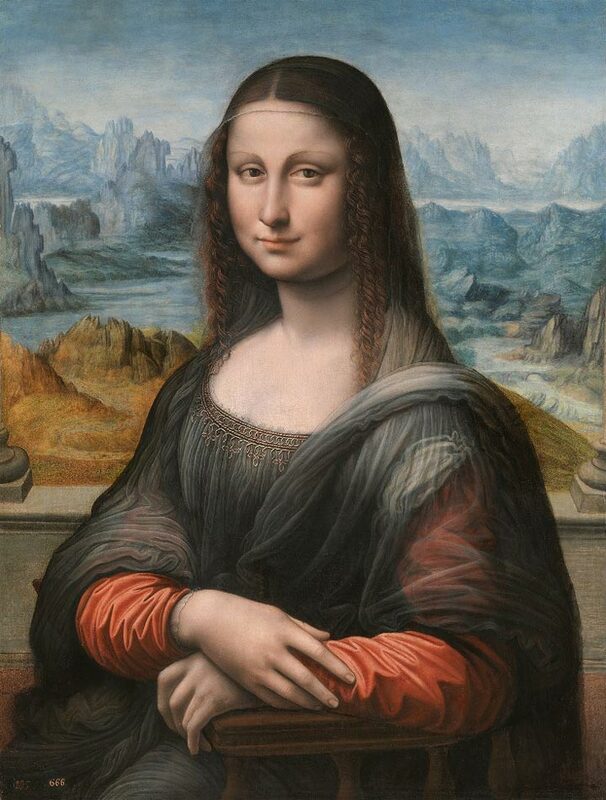 In addition, up to now all known copies of La Gioconda were executed after its creation and reproduce what was a celebrated work from an early date. 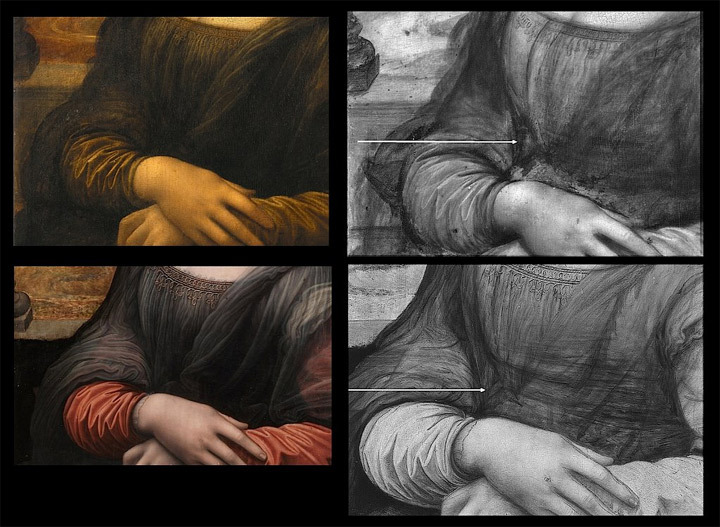 Technical analyses demonstrate that the Prado’s version was executed at the same time as the original, supporting the hypothesis of a workshop “duplicate” produced at the same time and with direct access to the gradual process of creation of Leonardo’s original work.